"Politics — it's my life's blood"
We have too much technology to say that we can’t do better than we’re doing. 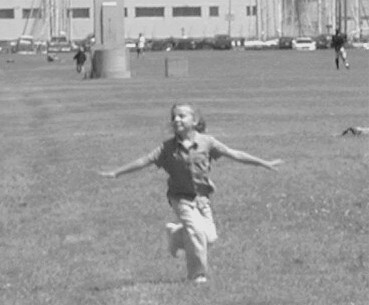 june 12, 2000. In early May the local media moved into film noir mode with news of the "rap gang war" that was terrorizing the southeastern part of the city. The Chronicle announced portentously, "A war between two gangs… has claimed three lives in the past week and traumatized San Francisco's Bayview-Hunters Point" in the latest of 20 shooting incidents since November. Speaking anonymously to avoid reprisals, several residents expressed a fear of walking through their own neighborhood: "We don't want our pictures in the paper. They will kill you." An editorial condemned city officials for their silence in the face of "brazen and lawless, startling acts carried out with a ruthless disregard for public safety." Chron-Ex duly reported community meetings of mourning relatives and friends who spoke of the need for jobs, youth-oriented activities, and parental attention, but added headlines drawn from grade B movies — Death on the Mean Streets; Tearful Service for S.F. Gang Victim; Gangs Declare Truce. It makes a difference where you’re standing. Some members of the community saw the situation in a different light. Bay View publisher Willie Ratcliff spoke of "the loss of young people whose talent and value to the community were just beginning to be known." Teacher Julie Coghlan mused, "People don't love their children less when those children are in danger, but I suspect they love less the society that allows guns and hopelessness to flourish." And for the crowd that twice filled the pews of Providence Baptist Church in public meetings, the predominant mood was anguish over the death of its children. What the media viewed as a crime issue, these residents called a public health problem. Handouts at the second meeting, held last Monday, included a packet from the Northern California African American Health Promotion Task Force providing statistics about, and recommendations for preventing, not only violence but also breast cancer, diabetes, and cardiovascular disease. That’s the point, isn’t it? Violence is bad for your health. African Americans know all too well that violence is just one of the reasons their life expectancy lags so far behind that of white Americans. According to a recent World Health Organization report, the United States stands well behind other industrialized countries in both general and "healthy" life expectancy because of its large minority population. Says demographer Carl Haub of the Population Reference Bureau, "If you look at the U.S. by ethnic group, you see a somewhat different result. African Americans in the U.S. have a much lower life expectancy, particularly males." Closer to home, the Alameda County Health Status Report 2000 observed that even in cities like Berkeley, "African Americans have significantly higher rates of deaths and disease than the other racial and ethnic groups and do not meet most of our nation’s health goals for the selected indicators." And San Francisco, a world-class city, its coffers overflowing, within the richest nation on earth, cannot figure out how to promote the general welfare of all its citizens. What’s going on here? For guidance in understanding the present, it’s often useful to look at the past. In this instance, the name Ella Hill Hutch keeps popping up. 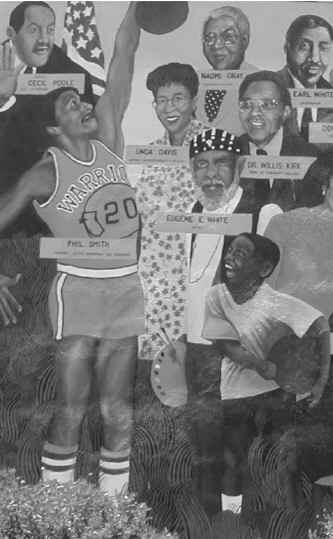 Today Ella Hill Hutch refers to a community center on McAllister, the self-designated "principal African American assemblage center in San Francisco's Western Addition for recreation, employment, education, community forums for action, and senior activities during the past decade." Until his premature death in early May, the executive director of the center was Leonard "Lefty" Gordon, a native San Franciscan who made it his personal mission "to help save young black men and bring them into manhood." But Ella Hill Hutch was once a flesh-and-blood woman. Like Gordon — and like Carmen Ramirez, whom she resembles in many ways — Hutch died early and suddenly, before her work was finished. Few people remember her today. Lefty Gordon did. So do Amos Brown and Our Mayor. So does her friend Ruth Dewson. The seventh of twelve children, this daughter of a Florida Baptist preacher came to San Francisco shortly after World War II "because all along I had heard people saying what a wonderful place it was." Imagine her disappointment when she "found conditions as bad for blacks as they were where I had come from." Apparently a woman of great energy and determination, she found a staff job with the International Longshoremen’s and Warehousemen’s Union in the early 1950s and set out to tilt at dragons wherever she encountered them. As a member of the Fillmore Tenants Council, Hutch made such a pest of herself in a tenants rights fight that the landlord tried to evict her as "a nuisance." She organized a concert appearance by Paul Robeson at a time when the long arm of Joe McCarthy made any left-leaning association dangerous. She chaired the equally suspect San Francisco chapter of the Labor Youth League. And she organized a local boycott of the then lily-white Washington Redskins. One thing led to another. Hutch, along with 25 other African-American women joined the Democratic Women’s Political Workshop in 1959, swept up by national civil rights activity and the excitement of John Kennedy’s presidential campaign. From there it was a short step to the Democratic County Central Committee in 1966, the BART board in 1974, and the Board of Supervisors in 1977, first from the Fillmore-centered District 4 and then citywide. 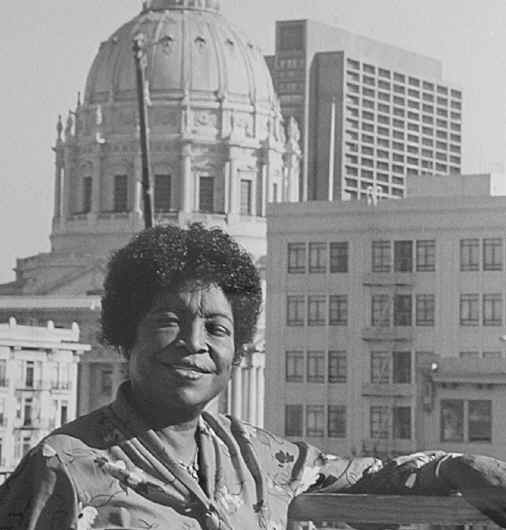 When Mayor Dianne Feinstein announced Hutch’s death in February 1981, she noted that her colleague had been "especially proud of the fact she was the first black elected supervisor who had not first been appointed." Sounds like a fiery radical, doesn’t she? But no, Ella Hill Hutch trudged straight down the middle of the road, with only occasional detours for labor or tenants legislation. A thumbnail sketch in the Chronicle before she was elected in 1977 describes her simply as a "BART director and Democratic party regular." You might say she was just being practical, that it was good politics to cultivate downtown interests in exchange for campaign contributions and support. You might also say that times were different. Look at the five new supervisors who came on board with district elections in 1977. They may have traveled in the middle of the road, but it was a one-way street, veering sharply to the left. Hutch based her campaign on government-financed low-cost housing, improvements in MUNI without increases in fares, and expanded health and childcare services. Harvey Milk, Carol Ruth Silver, and even the fiscal conservative Lee Dolson shared her concern for MUNI, with Milk and Silver also pushing for more job opportunities and expanded social service programs. Only the lonely Dan White swam against the tide, arguing that "the time for people’s reliance on government programs to solve their problems is over." But somewhere along the way, something happened — a lot of somethings — and the one-way street branched off in a different direction. Dan White’s pent-up frustration exploded, not in gang warfare but in gunfire inside City Hall, killing Milk and then-mayor George Moscone and opening the door for a succession of pro-development mayors. The city’s new economic era relegated older concerns to the side of the road, with the assumption that they would somehow manage to hitch a ride on a passing BMW. Hutch’s seat on the Board of Supervisors went to Willie B. Kennedy, an African-American woman of little political experience. When Kennedy retired in 1996, at the same time that Carole Migden left the board for the state assembly, Our Mayor poured salt on many wounds with their replacements. African-American Amos Brown has riled many gays by opposing domestic partnership legislation and needle exchange programs to curb the spread of AIDS, and angered advocates for the impoverished by his proposed crackdowns on disruptive homelessness. Caucasian Leslie Katz has fashioned herself into the champion of dot.com building rights, thereby aiding and abetting the present parade of private prosperity that is driving less affluent residents outside the city limits. We’ve gone full circle, back to last Monday’s meeting at Providence Baptist. The grieving community members assembled there — and the speakers at a hearing on crime conducted by the supervisors’ Housing and Social Policy Committee the next day — kept returning to a common theme: the damage that occurs when part of the population is left out of a booming economy. African Americans feel the omission most acutely because they mustered 97 percent of the black vote for the election of a mayor who seems to have abandoned them. But their sorrow — and astonishingly, it is sorrow and not rage — is shared by low-income people all across the city.